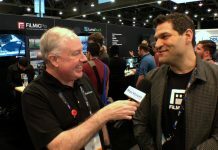 At the SuperMeet at NAB in Las Vegas, we find out about some upcoming Final Cut plug-ins that have unique capabilities from Roger Bolton of CoreMelt. 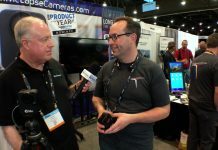 Roger also covers their now-open Motion template marketplace that delivers affordable special effects options for your projects, and is photo-bombed (video-bombed?) by SuperMeet organizer Michael Horton.